What Exactly is a Teacup Pig? The last few years have seen teacup pigs become a rage from the cute, adorable animals that were being bred for scientific experiments. With increasing number of celebrities rushing to own and sport a miniature pig in their arms, they are now being hailed as designer pigs and the ultimate pet to have. But before you rush in to buy a teacup pig for yourself you need to know the truth and reality behind owning such an exotic pet. The only way a teacup pig will be perfect for you is when you and your pet match each other perfectly. First let’s get to the size. Most people think that teacup pigs have been so named because they are tiny and fit in a teacup. That they do, but only right after their birth. After that they grow steadily and go on to become larger than a normal household pet would be. Granted that they always remain smaller than regular pigs which is why they are also called miniature pigs, but in most cases they grow up weigh at least 30-50 pounds and in many cases over a 100. Quite a bit of weight to cuddle if you are looking at a miniature pet! So Why the Name Teacup Pig? Chris Murray of England first named them so when he discovered that the miniature pigs he so lovingly bred shared his love for tea. The name stuck though the pigs invariably grew and prove to the world that they don’t remain tiny all their lives. Murray spent an intensive 9 years cross-breeding the Vietnamese Potbelly, Kune Kune, Tamsworths, and the Gloucester Old spots to arrive at the distinctive miniature breed which he first named Pennywell after his farm in Devon. He wanted to create a unique and perfect pet, which he did, but in no way could he have foreseen their popularity to surge as they have today. Another British citizen, Jane Croft saw the teacup pigs in Paris and fell in love with them. She then went on to breed more like them back in her farm in England. When celebrities began to buy from her the cast was set and teacup pigs were well on their way to become the favored pets for people on both sides of the Atlantic. There has been a wide range of controversies regarding the suitability of teacup pigs as pets. Needless to say they all originated from the ignorance and misconceptions about the name. 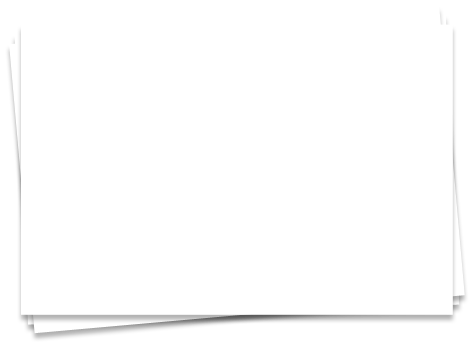 Some of it stem from the distorted marketing gimmicks which proclaim that you will have a tiny pet all your life and some of it from the lack of awareness of the buyer who has not done his research well and later go on to crib vociferously. Delve a little deeper and you will come across genuine breeders and sellers of these adorable and miniature pigs who will give you a detailed backgrounder of the breed and what to expect when you take them on as pets. First and foremost don’t expect them to not grow. They are living beings and they will grow. As they do they will weigh heavier and perhaps be bigger than a usual pet dog or cat. Now that you have the size issue taken care of, there are certain considerations to keep in mind. 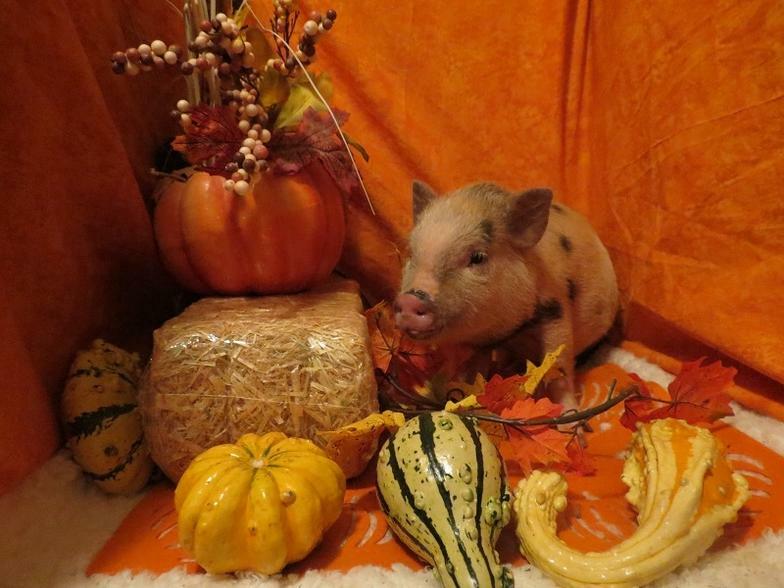 Teacup pigs have may originated from smelly, unkempt and not so good to look ancestors but they are specially bred, in controlled environment to become the exotic and unique beings that they are. A far cry from the dirty hog of yore. And being as special as they are, they need special care and maintenance. First comes the food. A legitimate breeder will give you a rundown of their diet which includes a special feed. Along with that you need to supply teacup pigs with a wide array of greens everyday like carrots and celery, cucumbers and peppers and a small percentage of fruits. All this is easy to do though the special feed is not readily available in your local supermarkets. But if you pre-arrange and buy it from the breeder or a special pet retailer then you have no cause to worry. Dosage of this carefully manufactured food should also be adhered to. Make sure that they are not fed the usual pet food or even regular tidbits from the table as they digestive system can be affected. Other than this, seclude an area in your garden or yard where they can graze and dig with their snout. Another very important thing to keep in mind is their active and social life. They are both, so be prepared to spend a lot of time with them. Let them run around in the open and have fun, get exercise and tire themselves out naturally. Also, they like company and like more than human company. It may not be possible to keep them around other teacup pigs so you have step in and be their constant shadow. Inactivity and boredom may make them destructive quite like a dog which has been locked alone in the house all day. There are zoning regulations to consider since teacup pigs are still considered livestock rather than pets. If you live outside city limits and have a large spread with lots of open spaces then your pet will be fine and happy. Otherwise it would not do you or your pet any justice when cooped up in a closed in limited space. Just a small note. Let's say you've already decided to purchase a Teacup Pig and your just looking for information. Many Teacup Pig breeders ship their piglets all over the United States. 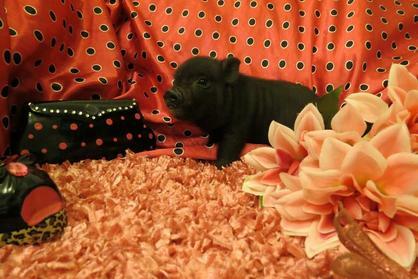 They will ship Teacup Pigs to the following States: Alabama AL - Alaska AK - Arizona AZ - Arkansas AR - California CA - Colorado CO - Connecticut CT - Delaware DE - Florida FL - Georgia GA - Hawaii HI - Idaho ID - Illinois IL - Indiana IN - Iowa IA - Kansas KS - Kentucky KY - Louisiana LA - Maine ME - Maryland MD - Massachusetts MA - Michigan MI - Minnesota MN - Mississippi MS - Missouri MO - Montana MT - Nebraska NE - Nevada NV - New Hampshire NH - New Jersey NJ - New Mexico NM - New York NY - North Carolina NC - North Dakota ND - Ohio OH - Oklahoma OK - Oregon OR - Pennsylvania PA - Rhode Island RI - South Carolina SC - South Dakota SD - Tennessee TN - Texas TX - Utah UT - Vermont VT - Virginia VA - Washington WA - Washington, D.C. - West Virginia WV - Wisconsin WI - Wyoming WY - Sorry we don't ship to Hawaii HI.